Beautiful detached 3 bedroom villa with heated swimming pool. Optional large 2 bedroom apartment. Sun terrace with sea views. Sleeps 10. Callao Salvaje. From the upper sun terrace go down the tiled staircase onto the pool level where you have the separate entrance into the huge 2 bedroom apartment. Here you will find 2 large bedrooms with twin beds and patio doors leading to the pool terrace and outside courtyard area. Both have fitted wardrobes and ceiling fans. 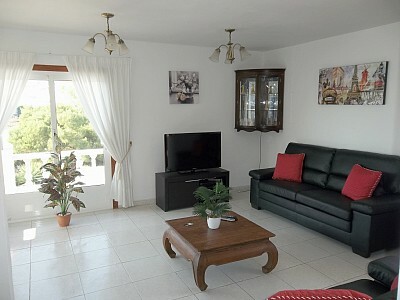 The large lounge/diner has 2 x 3 seater sofas and TV with the same TV facilities as the main villa. The dining area has table and chairs for 6. These areas both have sets of patio doors that lead to the pool terrace and outside courtyard area. The kitchen has includes all the cooking utensils you would expect to find plus dishwasher, oven/hob, fridge/freezer, microwave, coffee maker, toaster, sandwich maker, iron with board, this also has patio doors leading to the pool terrace. The exterior of this unusual property is on two levels. 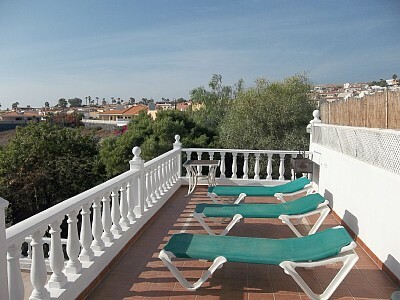 The upper level has a sun terrace with sun loungers, table and chairs, BBQ and splended views of the sea and mountains. The lower sun terrace consists of 7 x 3 x 1.5 deep metre private electicaly heated pool and is surrounded by a terrace with sun loungers. There is also an outside cosy courtyard with table and chairs for your enjoyment. All terraces has outside lighting. 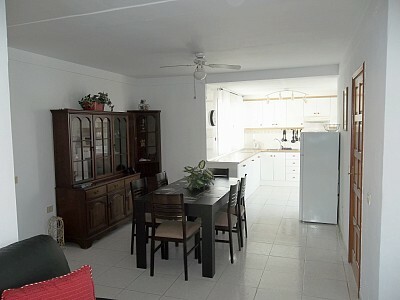 This siuated in a quiet residential area of southern resort of Callao Salvaje. Statistically Callao Salvaje has more hours of sunlight per day than any other other areas in Tenerife. This villa is a 5 minute walk to the main area of hotels, bars, banks, restaurants, pharmacy, doctors, supermarkets etc. 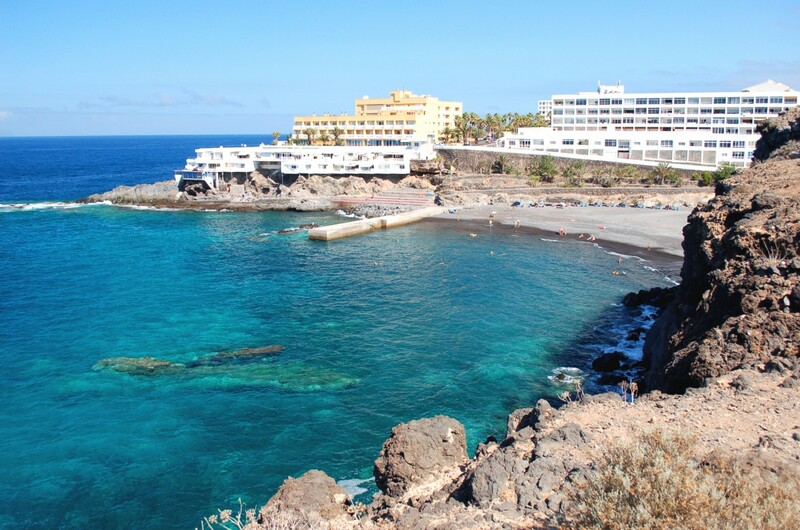 The resort is just a 10 minute drive from the busy Las Americas and Los Cristianos.